Railpictures.ca - Robert Farkas Photo: Alberni Pulp & Paper 76-10 is working their plant in Port Alberni, British Columbia on August 8, 1974. | Railpictures.ca – Canadian Railway Photography – photographie ferroviaire Canadienne. 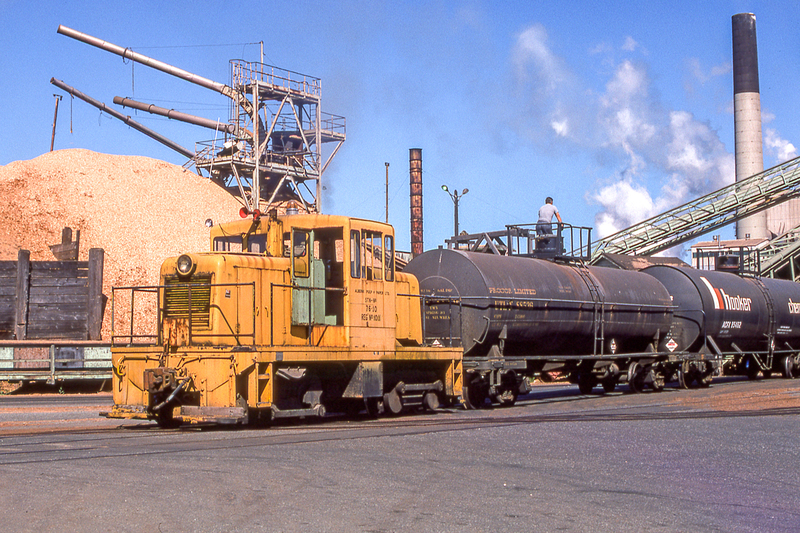 Caption: Alberni Pulp & Paper 76-10 is working their plant in Port Alberni, British Columbia on August 8, 1974. I’m with Arnold, love those critters! Must be a nice view from up top . Always love shots with the human element.